Once you figure out what style and color dorm Christmas tree you want to add to your holiday dorm room decorations, that's when the fun starts with your dorm room decorating. You get to plan out the perfect dorm essentials to place on the branches and you also get to decide on your dorm wall art. Your dorm room may be small, but that doesn't mean your holiday dorm room decor won't have any impact. 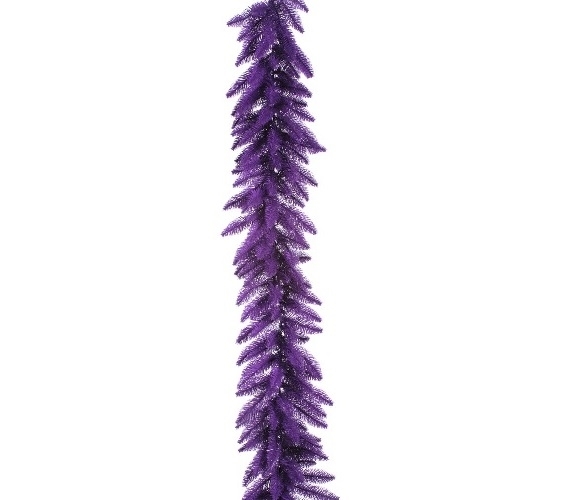 For high impact dorm room decorations, start with our Purple Garland with Mini Lights. Our Purple Garland has a soft look with a deep purple color that will look great on your dorm Christmas tree or even on your other dorm items. Wrapped throughout this college supplies item are purple mini dorm lights on purple wire to add extra dorm room decor to your college dorm room. Add a few of these dorm essentials to your dorm room decorations for high impact holiday decorations! Wrap this dorm item around your college Christmas tree and drape it over your dorm desk to complete your holiday dorm room decor theme. You can even make a design on your dorm room wall for dorm wall art! Since the garland has mini dorm lights, your dorm wall art design would look extra cool!